People often ask me what my favorite product is. And honestly, that changes all of the time. I love Beauty Sleep Concentrate for being such a fabulous basic night cream. 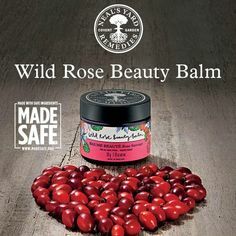 I love the Wild Rose Beauty Elixir for being so nourishing and luxurious. But to round up my top three, I can’t leave out my precious Frankincense Intense Cream . I first tried the Frankincense Intense™ Cream when it came in my joining kit from NYR Organic a few years ago. And from the beginning I was hooked. Baobab, macadamia, grapeseed and turmeric oils rejuvenate and nourish the skin, improving the skin’s suppleness and tone. It also has non-GMO soy oil and Organic Argan Oil that is ultra-moisturizing. The Frankincense helps improve skin tone and appearance of lines and wrinkles. The frankincense is a blend organic frankincense from Kenya and wild-harvested frankincense from Somalia. Like some of my other favorite products, this contains Sodium Hyaluronate and Turmeric Extract. Plus essential oils of Gardenia, Frankincense, Bergamot, Neroli, and Myrrh. Another cool thing about this product is that it has been officially MADE SAFE® certified. Want to learn more about MADE SAFE® ? Check out this post! The Frankincense Intense™ Cream comes in a 1.76 ounce jar. It is best applied AFTER the Rejuvenating Frankincense Toner and a serum of your choice. Maybe the Frankincense Intense™ Concentrate or the Frankincense Intense™ Lift Serum. You can read more about the new Lift Serum here and how all of the Frankincense products work together here. Are you interested in trying out the Frankincense Intense™ Cream? I’ve got sample sachets that are super easy to put in the mail. Just head over to my SAMPLES page and fill out the form. Have a question? Just post below or come and chat with us in Alicia’s Organic VIPs on Facebook.